Last week, we reviewed 5 exercises that may help ease your lower back pain. 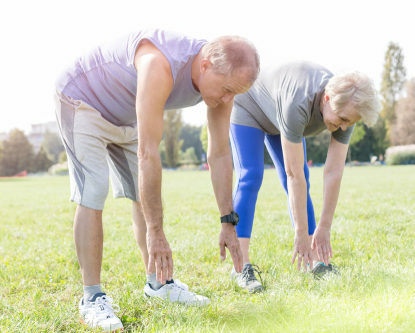 While staying active and exercising is generally good for pain, keep in mind that some exercises can trigger the wrong muscles and may increase your pain. Below, we cover 3 exercises to avoid when suffering from low back pain as they cause more tension on the lower back. Be sure to talk to your doctor before starting any rigorous workout plan and contact the specialists at Spine Institute of Arizona if you experience an increase in pain. Exercise is good for low back pain — but not all exercises are beneficial. Any mild discomfort felt at the start of these exercises should disappear as muscles become stronger. But if pain is more than mild and lasts more than 15 minutes during exercise, patients should stop exercising and contact a doctor. Some exercises may aggravate pain. Standing toe touches, for example, put greater stress on the disks and ligaments in your spine. They can also overstretch lower back muscles and hamstrings. Leg lifts are sometimes suggested as an exercise to “strengthen your core” or abdominal muscles. Exercising to restore strength to your lower back can be very helpful in relieving pain yet lifting both legs together while lying on your back is very demanding on your core. If weak, this exercise can make back pain worse. Instead, try lying on your back with one leg straight and the other leg bent at the knee. Keeping your lower back flat on floor. Slowly lift the straight leg up about 6 inches and hold briefly. Lower leg slowly. Repeat 10 times, then switch legs. PreviousPrevious post:5 Exercises to Help Lower Back PainNextNext post:Is it Time to Visit a Back Specialist for Your Low Back Pain?